Information is what surfers are looking for and successful Internet marketers know that providing relevant content on their sites is the first key to building a highly profitable online business. That's easy enough for those who love to write, but how can you produce content if you hate to write? Fortunately, ‘private label rights' sellers have stepped up to fill the void. Private label rights article packs are the low-cost alternative to hiring ghostwriters – and less time-consuming than writing articles and ebooks yourself! Private Label Rights (PLR) packages can consist of articles, reports, autoresponder series and ebooks contracted out to and written by ghost writers. Occasionally, you'll see private label rights granted to software and graphics. PLR content can be used “as-is” or edited by the buyer according to guidelines set by the PLR seller. Guidelines will differ with each company. There are two significant benefits to buying a private label rights package. First of all, buying PLR packages is relatively inexpensive compared to hiring a ghost writer to produce articles or an ebook for you. Good Private label rights articles average $1 – $2 a piece, whereas a ghostwriter will charge $10, $30, $100 (or more) for one well-written article. Secondly, you can usually modify the content in any way you want, and then assume credit for having written the material. Having the right to modify the articles means that your final product will be completely different from anyone else who buys and repackages the same material. For this example, let's say that you bought a package of 50 articles about ‘interior design'. If the PLR seller allows, you can resell the entire package without changes. I used to make 10 to 12K per month just re-selling an auctions information package that consisted of several ebooks and reports. I promoted eBay registrations on the thank you page. You could sell your new book on eBay and generate affiliate sales or bring traffic to your site through links that you've placed within the book. If you sell your own product, give the ebook away to your customers as a buying bonus. Or, you might use a private label ebook as incentive to get folks to subscribe to your newsletter. Conversely, the private label rights package may come in ebook format, so you might can take the whole thing and separate it out into 50 individual articles. You could post each article to your blog. Those new pages will get spidered by the engines and generate more traffic to your site. If you can't find an affiliate program relevant to a particular topic, you can generate revenue by adding Google Adsense to those pages. You could also use rewritten articles on Squidoo and Blogger blogs that directs traffic to your main sites. Alternatively, you could put one or two of the articles together as a ‘special report' which you then use as incentive to sign up for your newsletter. You could also create an ebook out of a number of articles, call it “Debbie's Design: 50 Tips for Divine Decor” and sell it through Clickbank. You'll even be able to find affiliates at Clickbank to sell the book for you! Last but not least, you could Spin really generic articles from one niche topic into another by swapping out the relevant keywords and keyword phrases. Before you buy a private label rights package, read the terms carefully. You want to make sure that you have the right to change, modify, cut, delete the content in any way you want, and put your name on it. Most private label rights packages are restricted to a certain number of buyers, so you won't have to worry about ‘your' material showing up 3 gazillion times on Google. In all likelihood however, you won't have to worry about competition as most people who buy PLR packages set their project aside for ‘another day' and then do nothing with the material. Integrating the tips above into your Internet marketing strategy will help you increase visibility and traffic to your site through the use of inexpensive PLR article packs. 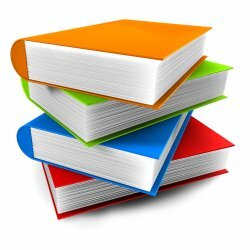 Save time and make more money by using PLR article packages. Looking for a specific distributor? Check out this list of recommended Private Label Rights and Content distributors. I bought some PLR recipes and articles from some of your sources you listed. However; I am fearful of this being considered “duplicate” content and the search engines not looking good at duplicate content. Any suggestions? I actually have this book on my hard drive, too. Thanks for reminding me to read it! I look at plr articles from the other side, since I am a writer and sell niche article packs! Thank you for sharing this great post. I have learned quite a lot here. I just bought your ebook on Super Affiliate Handbook and its great. Keep u updated my experiences. What is your advice for newbies on affiliate marketing. I’m dying to know how the people who are selling the PLR ebooks make any money. I understand that with Master Resell Rights they still have affiliate links set up in the ebooks so they make money on the back end. However, with the PLR ebooks.. the smart buyer would change the affiliate link to their own. So how does that author make any money selling these books for only $2-10 if they have no backend income stream? I have been following your blog post now since 2004 when I joined your mailing list.You have wonderful quality content, and I have learned so much from you. I have been putting in a lot of efforts to earn an income online and just decided to start a blog recently. I just want to request for a favor from you to assist me stabilize (especially in mentoring). I wish to request that you grant me the privilege of doing some few articles on topics that are related to my blog so that I can have back links from your site to my blog. I also do ghost writing and review articles, and my rates are quite cheap since I am still looking for clients, I will be very glad if you can give me some jobs or job referrals.I can assure you that you will like the quality of my work. 1. How do I determine the price of the PLR products to sell? 2. Where can I sell PLR products? In most cases the vendor where you may or may not post PLR articles that you purchase, i.e. on an article directory site. I’m not really sure what you mean however by ‘where can I sell PLR products?’. Did you have a specific venue in mind? As for determining the price, the vendor of the package will usually specify a minimum price. I would suggest that you search for others selling the same product and offer it at a fraction less. I have to agree with Tom. It is difficult to find good quality PLR articles. The best choice is rewrite them almost completely. Some of them almost don’t make any sense because they have many copy and paste paragraphs. I’ve seen some articles with bad grammar and bad spelling. It is better to write your own content or pay someone to do it for you. Quality is best! I have used some of the PLR articles that are available and most of it seems to fall in one of 2 categories – it is out of date, or the quality is just plain poor. I have downloaded thousands of articles, and it was difficult to find one half-decent one. I would not recommend using PLR articles unless you are prepared to re-write chunks of them. And of course, many of them will have been ‘doing the rounds’ on article directories and blogs, and will not flag as original content in Google. Do the articles/PLR at your PrivateLabelCentral.com fall under the category of what you are talking about here? Can the packages be “re-packaged” into Clickbank info products without any additional licensing restrictions, etc? 1. Use the articles in article directories unless they use the research to write a totally unique article. 2. Share articles with others for the benefit of second persons business. I like the ideal of a relatively less expensive content source. I could see the quality being better than with ghostwriters you haven’t worked with before.